Bahrain al-Baḥrayn Arabic pronunciation: [aɫ baħrajn], officially the Kingdom of Bahrain, is an island country in the Persian Gulf. The sovereign state comprises a small archipelago centered around Bahrain Island, situated between the Qatar peninsula and the north eastern coast of Saudi Arabia, to which it is connected by the 25-kilometre (16 mi) King Fahd Causeway. 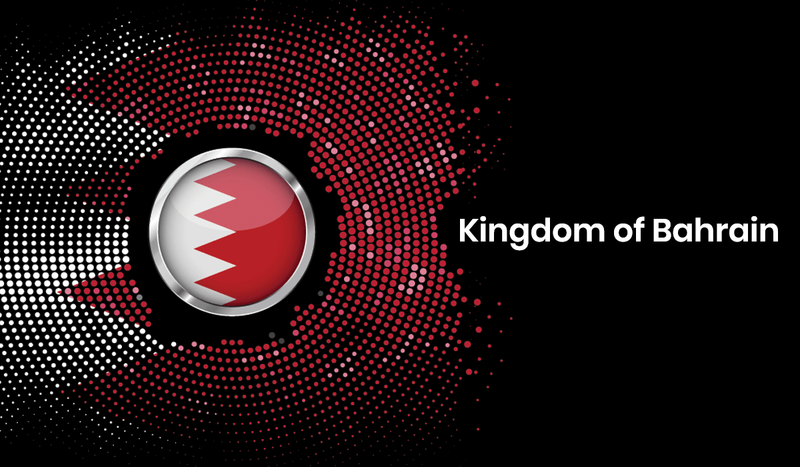 Bahrain's population is 1,234,571 (c.2010), including 666,172 non-nationals. It is 765.3 square kilometres (295.5 sq mi) in size, making it the third-smallest nation in Asia after the Maldives and Singapore. Bahrain is the site of the ancient Dilmun civilisation. It has been famed since antiquity for its pearl fisheries, which were considered the best in the world into the 19th century. Bahrain was one of the earliest areas to convert to Islam, in 628 CE. Following a period of Arab rule, Bahrain was occupied by the Portuguese in 1521, who in turn were expelled in 1602 by Shah Abbas I of the Safavid dynasty under the Persian Empire. In 1783, the Bani Utbah clan captured Bahrain from Nasr Al-Madhkur and it has since been ruled by the Al Khalifa royal family, with Ahmed al Fateh as Bahrain's first hakim. Bahrain was home to the Dilmun civilization, an important Bronze Age trade centre linking Mesopotamia and the Indus Valley. Bahrain was later ruled by the Assyrians and Babylonians From the 6th to 3rd century BC, Bahrain was part of the Persian Empire ruled by the Achaemenian dynasty. By about 250 BC, Parthia brought the Persian Gulf under its control and extended its influence as far as Oman. The Parthians established garrisons along the southern coast of the Persian Gulf to control trade routes. During the classical era, Bahrain was referred to by the ancient Greeks as Tylos, the centre of pearl trading, when the Greek admiral Nearchus serving under Alexander the Great landed on Bahrain. Nearchus is believed to have been the first of Alexander's commanders to visit the island, and he found a verdant land that was part of a wide trading network; he recorded: "That on the island of Tylos, situated in the Persian Gulf, are large plantations of cotton trees, from which are manufactured clothes called sindones, of strongly differing degrees of value, some being costly, others less expensive. The use of these is not confined to India, but extends to Arabia. "The Greek historian Theophrastus states that much of Bahrain was covered by these cotton trees and that Bahrain was famous for exporting walking canes engraved with emblems that were customarily carried in Babylon. Alexander had planned to settle Greek colonists on Bahrain, and although it is not clear that this happened on the scale he envisaged, Bahrain became very much part of the Hellenised world: the language of the upper classes was Greek (although Aramaic was in everyday use), while Zeus was worshipped in the form of the Arabian sun-god Shams. Bahrain even became the site of Greek athletic contests. According to a January 2006 report by the United Nations Economic and Social Commission for Western Asia, Bahrain has the fastest-growing economy in the Arab world. Bahrain also has the freest economy in the Middle East and is twelfth-freest overall in the world based on the 2011 Index of Economic Freedom published by the Heritage Foundation/Wall Street Journal.In 2008, Bahrain was named the world's fastest-growing financial center by the City of London's Global Financial Centres Index.Bahrain's banking and financial services sector, particularly Islamic banking, have benefited from the regional boom driven by demand for oil.Petroleum production and processing is Bahrain's most exported product, accounting for 60% of export receipts, 70% of government revenues, and 11% of GDP. Aluminium production is the second-most exported product, followed by finance and construction materials.Manama skyline as viewed from Juffair Economic conditions have fluctuated with the changing price of oil since 1985, for example during and following the Persian Gulf crisis of 1990–91. With its highly developed communication and transport facilities, Bahrain is home to a number of multinational firms and construction proceeds on several major industrial projects. A large share of exports consist of petroleum products made from imported crude oil, which accounted for 51% of the country's imports in 2007.Bahrain depends heavily on food imports to feed its growing population; it relies heavily on meat imports from Australia and also imports 75% of its total fruit consumption needs. Since only 2.9% of the country's land is arable, agriculture contributes to 0.5% of Bahrain's GDP. In 2004, Bahrain signed the Bahrain–US Free Trade Agreement, which will reduce certain trade barriers between the two nations.In 2011, due to the combination of the global financial crisis and the recent unrest, the gdp growth rate decreased to 1.3%, which was the lowest growth rate since 1994.